I have packed away all of my bright shocking nail polishes and brought out my fall shades. As always, Autumn sees the return of rich deep luxurious nail colours such as dark currents, warm browns, rich burgundies and cool greys. 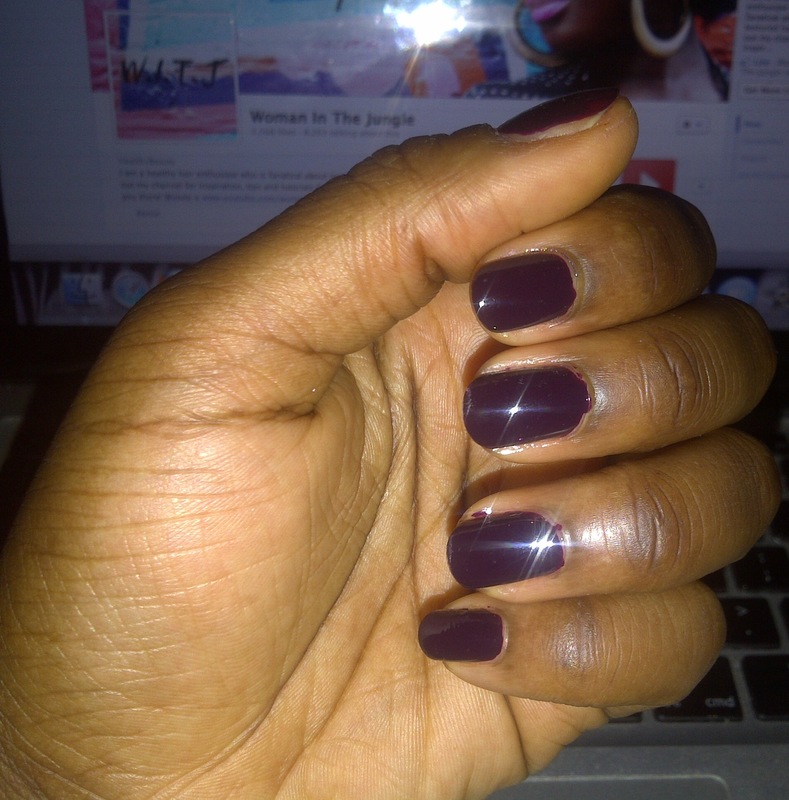 I felt a great transition to my Autumn polishes was this deep purple hue by Maybelline in the colour ‘Extreme Blackberry’. I purchased the Maybelline Forever strong pro nail polish from Boot for £4.09. The Maybelline polishes are excellent quality for affordable prices and my nail polish stash consists of a plethora of them. The brush is of a medium width and is specifically shaped for even application. I always do at least two coats of nail colour to get a longer wear from my nail polish colours, but with one coat the nails were opaque (I still did two). Some nail polishes can have really strong over powering smells, this polish smells pleasant and isn’t offensive at all. I paint my nails at least once a weeks, so look out for more Autumn nail colours and trends. Keep your eyes peeled on the right side bar of this blog for what colour I am currently wearing on my nails.